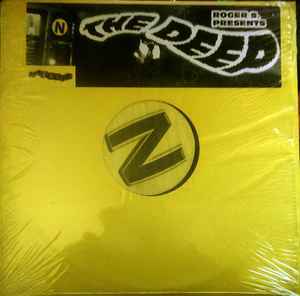 for all those looking to own a copy of 'the deep' on wax (without paying heavily inflated discogs prices) the track can be found on a 4vinyl LP compilation of roger sanchez tracks... along with the infamous Luv Dancin... for pennies! Excellent 12inch, and unfortunately quite unique in Roger S' overall path: this sounds nothing much like his early bleep, garage, deep-house or jazzy efforts ; neither like his subsequent 'functional' generic big room tribal and latin productions, but more like a perfectly balanced, sultry and smoky mix of depth and drive, in the vein of Mood II Swing's deeper dubs from the same era, perhaps a little more straight percussive. If Mr Sanchez wishes to make a comeback in that vein, the world is ready now I guess. I've had both copies since new and this is a slightly better pressing than the US release. Returning to the deep vibe of one of his earliest tracks, 'Luv Dancin' on Strictly Rhythm, this is a welcome return of Roger Sanchez to the form I like the most.